I’ve always had a passion to write and a heavy propensity for nightmares. To this day I remember a nightmare involving two elderly women chasing me down trying to sew my fingers together with an electric sewing machine. I was five. I’m not sure if this was a premonition telling me to stay away from writing or one telling me to write. Either way, it freaked me out. Years have gone by since that first nightmare, over thirty-four years at the point of writing this, and many additional nightmares have wreaked havoc on my peaceful sleep. While I found a way to cope with the terrifying visions of sleep, I wanted to do more. 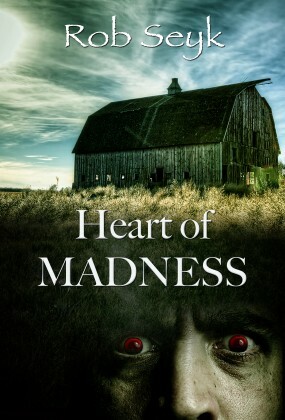 In 2001 I finally started to incorporate my dreams with my passion and wrote Into the Soul of Madness, followed by Heart of Madness and several short stories. I’ll continue to write regardless of readership because I need to get what’s in my head out. I don’t want it in there anymore and putting it to paper seems to be relieving me of my nightmares. So, I’ll continue to regurgitate years of nightmares one book or story at a time.